A fellow YAM writer told me Christopher Lee has just released a metal album. He is 90 years old, which makes him a BAMF and better than us. In not so good news, Joshua Dallas cannot come back to play Fandral in Thor 2 because he still needs to be Prince Charming in Once Upon a Time. Damn. Not that Fandral was such an important role, but I want continuity in my movies. Probable replacement? Zachary Levi from the now canceled series Chuck. But hey, first shot of new Doctor Who companion! 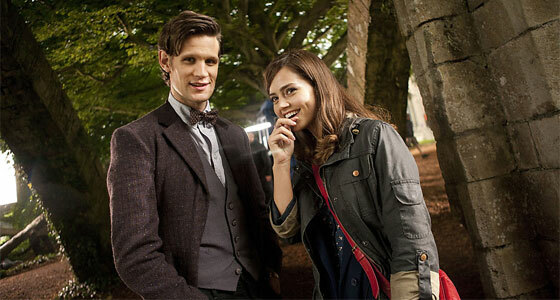 And what can Moffat tell us about her? It’s not often the Doctor meets someone who can talk even faster than he does, but it’s about to happen. Jenna is going to lead him his merriest dance yet. We’ll see, Moffat. Well, see. Possible Venom movie will be in the same universe as The Amazing Spider-man… and no one is surprised. Really, it was the logical choice! OMG, so crazy bastards did a lol-worthy rendition of Inception with LEGOs… It is as awesome as it sounds. Yup, those 1000 hours working on it were worth it. Tony Awards! It was cute and entertaining, especially the opening with Neil Patrick Harris and his “50 shades of gay” comment and with Hugh Jackman’s wife presenting him a Special Award. There were tears, there was laughter and some WTF moments like James Earl Jones’ face when he didn’t win. Although, it was probably because he shares the first name with the winner. So yeah, while I have only watched (online) half of these shows, the Tony Awards always entertain me, especially now that Neil Patrick Harris keeps hosting. He should always be host. Of everything.